Why do I need to sweep my chimney? First and foremost, for SAFETY! We all love a roaring fire, whether it’s an open fire or a wood-burning stove, there is nothing that compares with the comfort it gives us. But fires are also a source danger. Earlier in 2016, Hereford and Worcester Fire and Rescue Service (HWFRS) reported an increase in the number of chimney fires they were attending and have re-issued their chimney safety advice. The Service issues regular reminders as part of their Winter Safety Campaign knowing the devastating impact a chimney fire can have on a home and the family who live there. The good news is that most chimney fires can be avoided by ensuring the chimneys are swept regularly and that the correct fuels are used – please also read our article “Our best tips for a fabulous fire’. We would also recommend the installation of a carbon monoxide detector, now a legal requirement for new stove installations. Carbon monoxide is an odourless gas formed as wood is burnt and normally safely extracted through the flue up the chimney to the outside. It can occur in inadequately maintained or badly fitted domestic heating appliances. If your flue or chimney is blocked, the carbon monoxide will be unable to escape your home, allowing a dangerous concentration to quickly build up. The sensing technology in a carbon monoxide detector accurately measures the levels of carbon monoxide and the time of exposure, and is designed to sound an alarm before carbon monoxide levels become threatening. Detectors are readily available and reasonably priced at around £15-£20. It’s a no-brainer really. A clean chimney is safer! 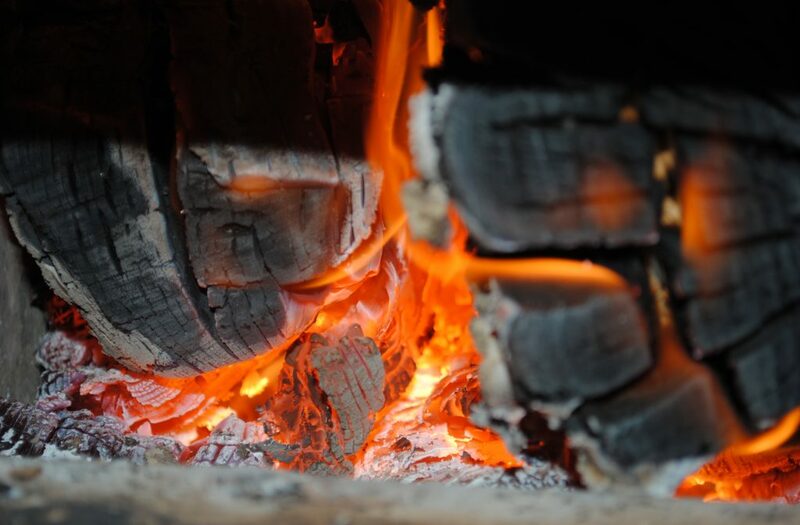 As the fire burns, creosote is carried by smoke into the chimney or flue. Some of the creosote will coat the walls of the chimney or the sides of the flue and if it becomes too thick, can catch fire. It can also obstruct the flow of gases, neither of which are good news! How often should the chimney be swept? Generally this depends on how often you use it. As a guide, if you use the stove or fire on occasional evenings and weekends, and assuming you are burning the right materials, once a year should be adequate, and is best to do before you use it for the first time after the summer. If you light your fire more frequently, we would advise a sweep before you start to use it again, and again mid-way through the winter months. Your chimney sweep will be able to guide you further after that.